Hoje apetecia-me uma coisa doce mas diferente...Fiz umas alterações numa receita que tinha e saiu este maravilhoso bolo...sim ...sim maravilhoso!Para quem gosta de Gengibre este bolo é muito bom! Today I felt like something sweet but different ... I made some changes in a recipe I had and came out this wonderful cake . 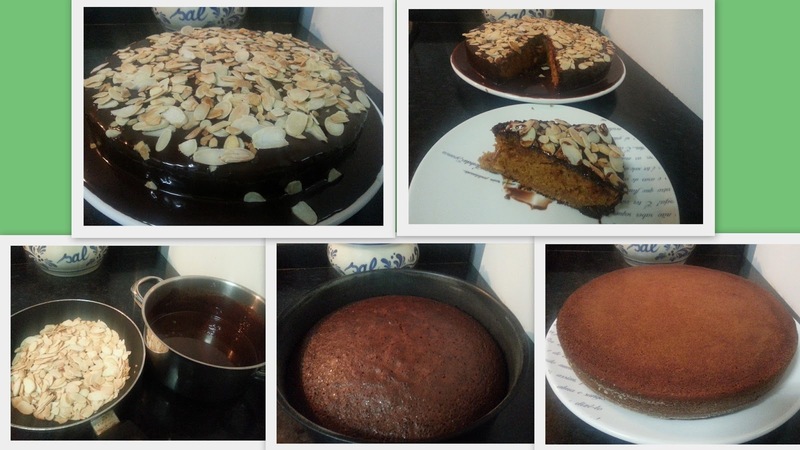 Yes...yes ... It´s wonderful!For those who like Ginger this cake is very good! Combine sugar, butter and honey in a saucepan and bring to medium heat to melt. Leave to cool slightly. 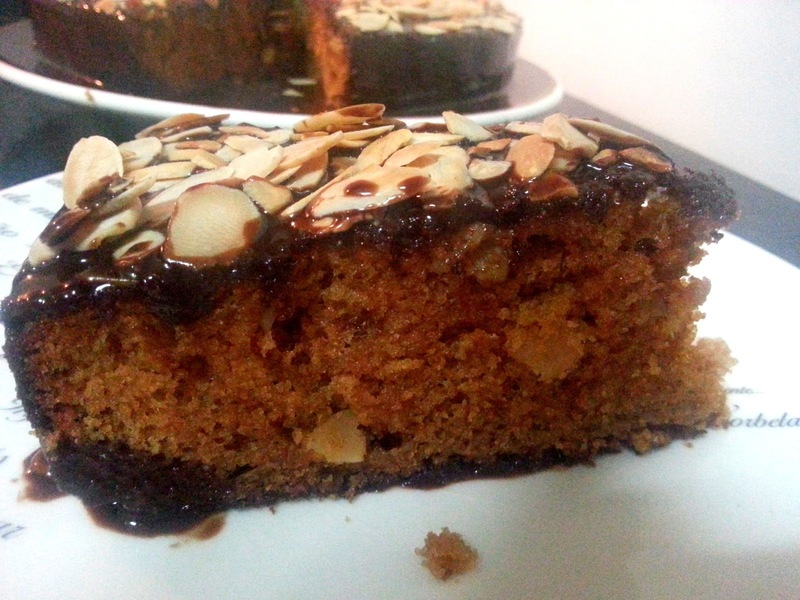 In a bowl, mix the flour with the baking powder , the almonds (100 gr)and the ginger powder. Add the mixture of honey, sugar, melted butter and flour to the mixture. Add the eggs and beat well. 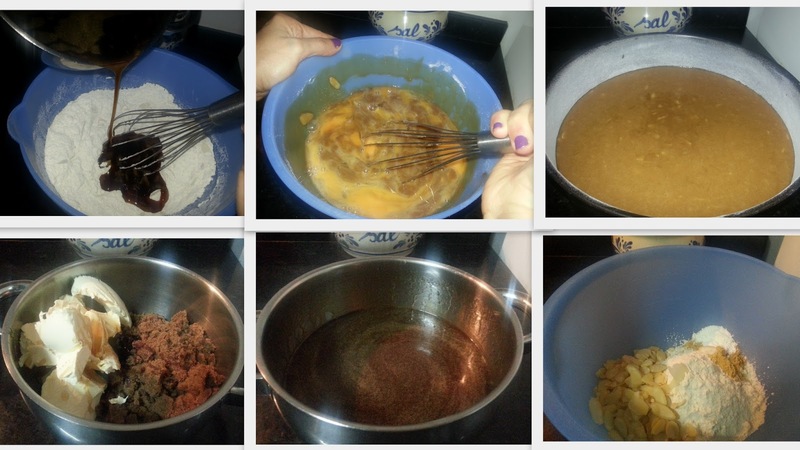 Pour the mixture into a cake form buttered and floured. Bake in preheated oven to 170 ° C for 35 minutes.Unmold warm and pour the melted chocolate with the cream over the cream and sprinkle with the rest of toasted almonds (I browned a little in a pan). O aspecto do teu bolo é fantástico!